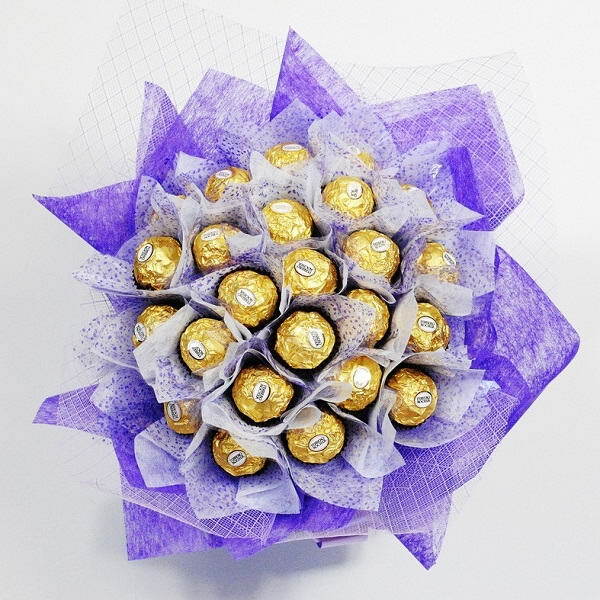 Ferrero Rocher bouquets might not be something that you instantly think about when it comes to gifts; however, they can make some of the very best gift ideas. Firstly, flowers are something that is easily found but not a lot of people just want to receive the same flowers on their birthdays, their anniversaries or even after an argument. 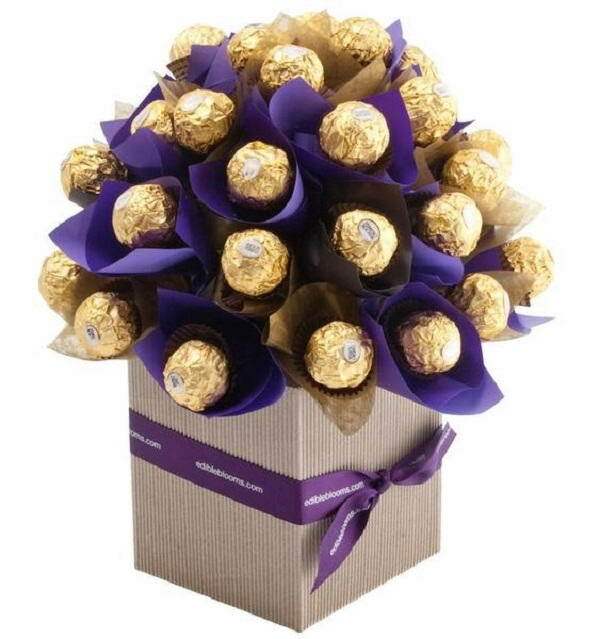 However, why should you just stick to the same bouquet of flowers when you could choose a Ferrero Rocher bouquet? It might not be something that you would think as your first choice for a gift but actually it can be such a fantastic idea. 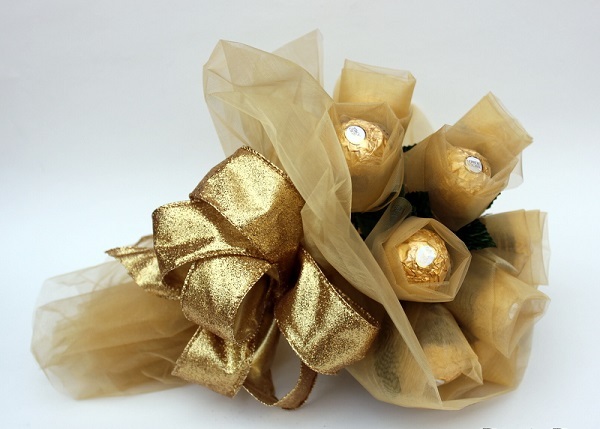 Why not consider a Ferrero Rocher bouquet rather than a bouquet of flowers? They are simple ideas to choose from and you will make someone’s day also. 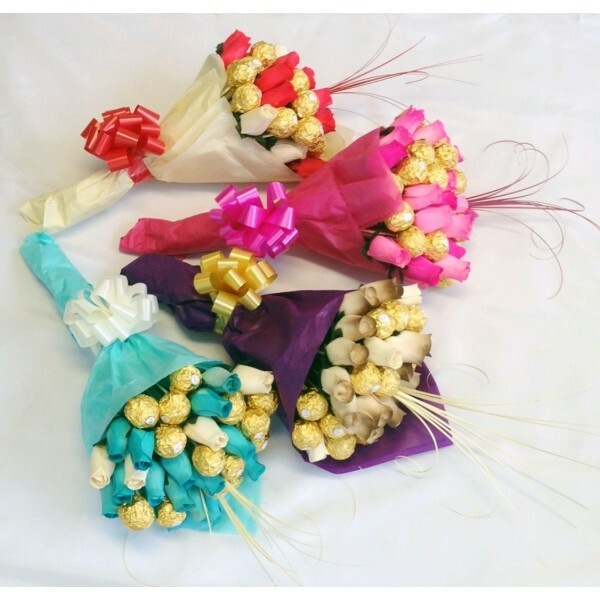 Chocolate bouquets are a fantastic alternative to choose from today especially if someone you know do not like flowers or are allergic to flowers. Though, even for those who aren’t allergic to pollen or flowers, a chocolate bouquet can be a nice alternative every once in a while. It’s a nice change and it’s quite sweet also. 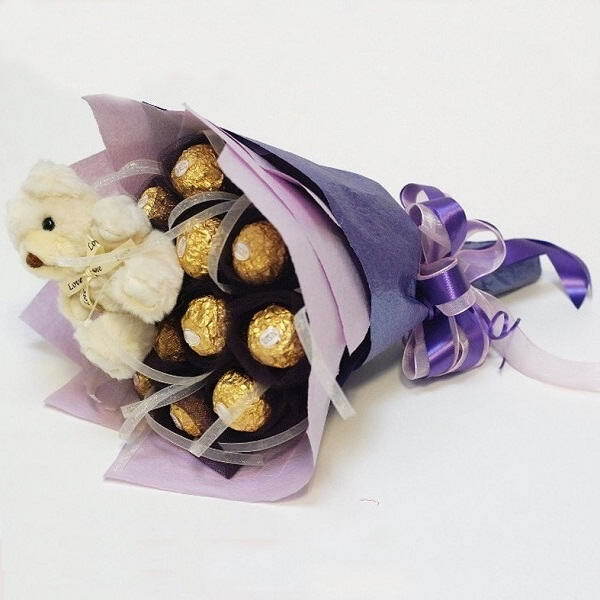 To be honest, a Ferrero Rocher bouquet can be a very nice and very special little gift idea, especially for those who have a sweet tooth or two! You might not believe so but it can be and it is something which has become very popular over the past few years because Ferrero Rochers are quite popular and they do make some very simple but special gift ideas. This is why today more and more people are going to be looking for a Ferrero Rocher bouquet. In fact, these bouquets are becoming quite popular but you don’t just need to go out and buy them, you can make these from home. This is great because even if you don’t want to spend a lot of money, you don’t have to spend a great deal of money. You can easily make these bouquets from home. 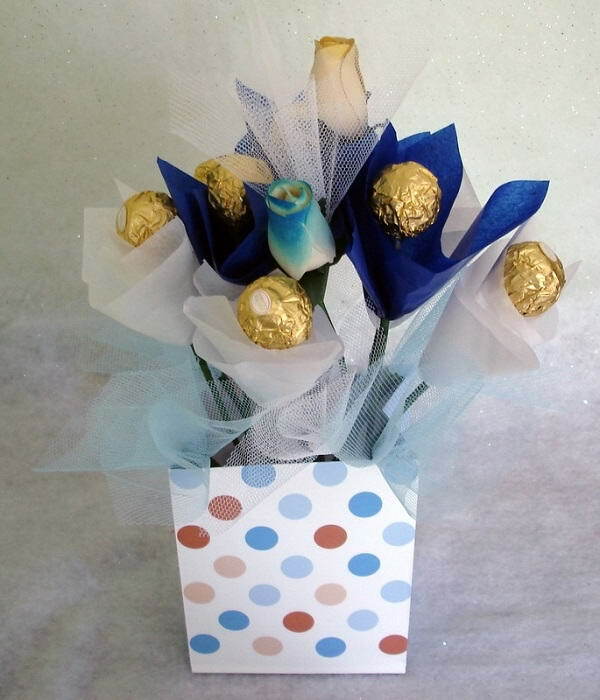 All you really need is your Ferrero chocolates, some lovely tissue paper, some sticks and a nice colourful wrapping paper to place the bouquet in. So first of all, take a chocolate and a wooden stick; you can easily attach the wooden stick to the bottom of the Ferrero chocolate wrapper. You could make sure it’s secure with tape and wrap the chocolate in tissue paper; you will keep doing this for the rest of the bouquet and once you have your desired amount, you will wrap the chocolates in the colourful wrapping paper. This way you will get that desired bouquet feel to it and it is ready to be handed over!